Intel did not go into great detail about the specifications of the new generation of Intel Core i9 mobile chips, but took advantage of the GDC ( Game Developers Conference) to introduce the processors. It is known that the chips will support Wi-Fi 6 AX200, Intel Optane memories and Thunderbolt 3 connectivity. Intel’s market research indicates that the target audience for these components will be gamers but also creators. One of the requirements of both is greater battery life, but Intel has not detailed how these chips will help in that direction. Many more details have not officially been confirmed, but a list that was found by AnandTech reveals a long list of processors for mobile and desktop and which includes the Core i9-9980HK and Core i9-9950H. These chips have eight cores and 16 threads, with the first having a turbo boost clock speed of 4.8 GHz and the second reaching 4.6 GHz. Base clock speeds are not yet known and it is not known either which version of integrated graphics will be available. Intel expects these chips to hit the market starting in the second quarter of this year. The mobile CPUs newly listed are the eight-core Core i9-9980HK processor with unlocked multiplier, the eight-core Core i9-9880H, the eight-core Core i7-9850H, the eight-core Core i7-9750H, the quad-core Core i5-9400H, and the quad-core Core i5-9300H. All of them are aimed at high-performance laptops for gamers and professionals and, according to Intel, will be launched in the second quarter. Since the new processors belong to Intel’s 9th Gen Core family are designed to feature hardware mitigations against specific Meltdown and Spectre vulnerabilities. 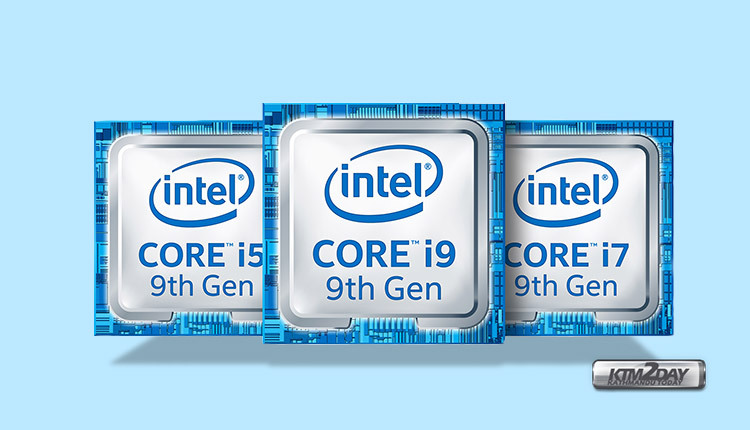 Meanwhile, a quick look at the basic specs that Intel published as well as their CTP numbers can shed some light on general specifications of the upcoming 9th Gen Core H-series mobile processors. i9-9980HK Notebook 8 / 16 ? UHD 630 (?) ? ? i9-9880H Notebook 8 / 16 ? 4.8 GHz ? ? i7-9850H Notebook 8 / 8 ? 4.6 GHz UHD 630 (?) ? ? i7-9750H Notebook 8 / 8 ? 4.5 GHz ? ? i5-9400H Notebook 4 / 8 ? 4.3 GHz 8 MB UHD 630 (?) ? ? i5-9300H Notebook ? 4.1 GHz ? ? i3-9100 Desktop ? ? 4.2 GHz 6 MB UHD 630 (?) ? ?